Bosch titanium screwdriver bits feature innovative titanium tough grip coating. 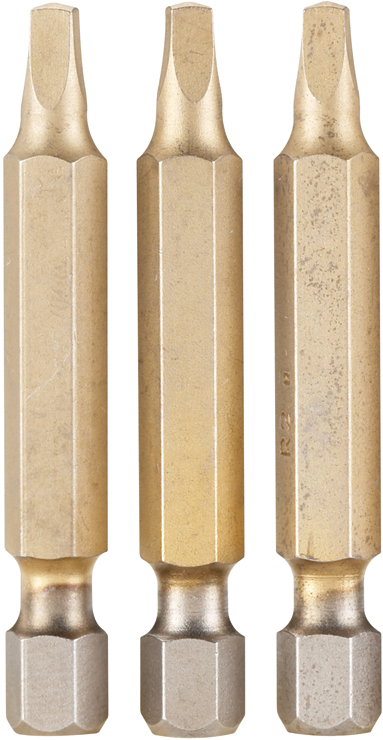 These innovative bits start with a rough surface that actually grips the entire inside dimension of the screw head with millions of gripping points. The bits are then coated with titanium to provide a hard surface that protects the gripping points from the rigors of repetitive use. Titanium tough grip coating significantly reduces slippage with 75 percent more gripping power and protects each gripping point from damage so bits don't need to be replaced as often as standard screwdriver bits. The power groove on each bit fits all quick change systems and can be chucked directly into a drill.